Historic Collinsville may be the best-kept secret in Tennessee — even though it’s been open to the public for 20 years. This off-the-beaten-path, hidden-gem pioneer settlement first opened in 1974 to give children a “hands-on” experience, outside of the classroom, about life in the 1800s. It’s been open to the public since 1997, re-creating the past with 16 historical structures each filled with authentic period furnishings dating from 1830–1900 that show a glimpse of life before and after the Civil War. 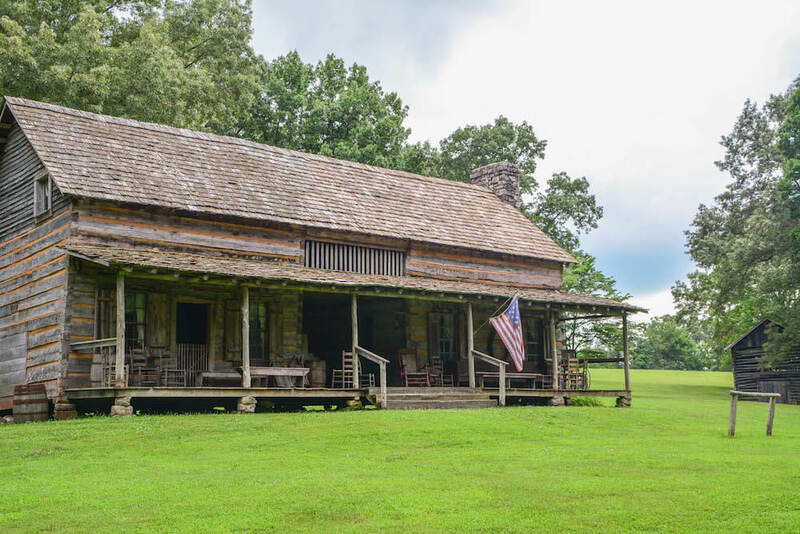 The expansive 1855 Batson Dogtrot House shows life for a well-to-do-family after the Civil War. In contract, the 1842 two-room Lewis House across road was home to 13 children and their parents. The beautiful 40-acre rural location about 25 miles south of Clarksville is a group destination favorite. Docents, storytelling, hayrides and picnics on the grounds entertain one and all. But the drive through the rural countryside is a memorable experience itself. The Cherokee, Chickasaw, Creek, Iroquois and Shawnee Indians traveled the land just a quarter-mile from the Cumberland River. A Wildlife Center contains a large collection of arrowheads and other artifacts found on the property. Historic Collinsville’s regular 2019 season kicks off April 20 and continues Saturdays and Sundays through Oct. 26. But groups of six of more can schedule a visit anytime. Special events include a Spring Homecoming and Easter Extravaganza on opening day, Southside Summer Nights concert series held on the fourth Fridays of June, July and August, Arts and Crafts Month in October, HarvestFest Oct. 26 and a Candlelight Christmas Tour on Dec. 14. Special events include games, crafts, music, food, guided tours with docents, storytelling, spinners and weavers and more. For more information about bringing your group to Historic Collinsville, visit www.historiccollinsville.com or contact Frances Manzitto at frances@visitclarksvilletn.com. Previous articleThree ways your group can dive in to the history of St. Louis!